An Influence Map, also called an Influence Diagram or an Expert Map are all different names for showing what INFLUENCES a particular situation. Your situation can be anything you can think of, personal relationships, the spread of disease, reasons for remodelling or extending your house, a business need, a local government need or what I generally use them for - an academic or learning need. They are often used in Risk Management, because they help you understand the risks and influences on different situations. But don't think you have to be in a business or academic situation to use them. Children can learn how to do these quite easily and can use them to work out the best way of approaching a situation. Seeing a problem set out in a diagram or map fashion can be very helpful, rather than going over and over one or two points in your mind. There are only three symbols used in an influence map. The ovals and rectangles are used as "nodes" and the arrows show or represent the "influence", with the arrowhead showing the direction of the influence. Oval nodes show the world or the situation "as it is". 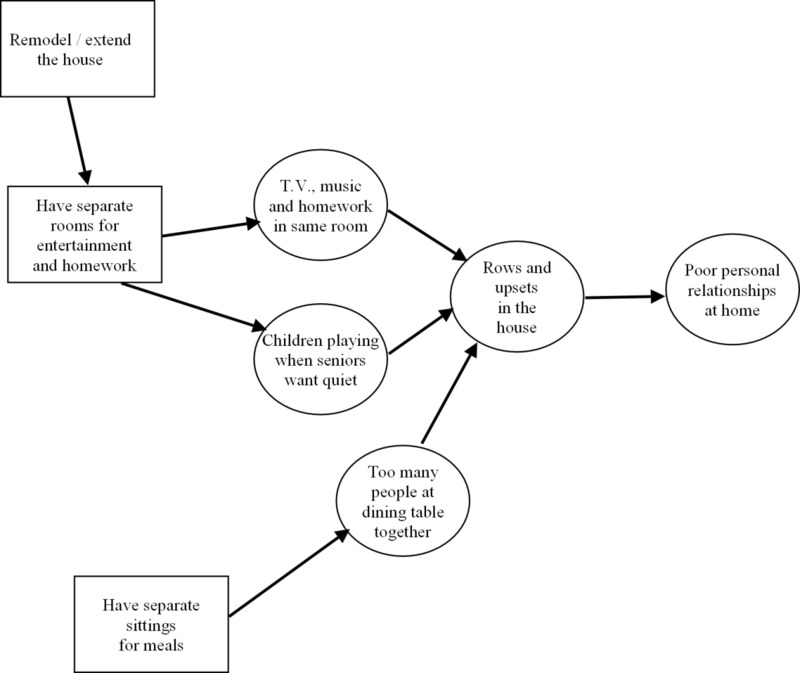 For instance, in the first diagram, oval nodes show that there are poor personal relationships in the house, that there are rows and upsets in the house and that there are conflicts over the need for quiet and the need for entertainment. Some of these nodes are influencing other nodes. For instance, one of the nodes shows "rows and upsets in the house" and this is influencing the "personal relationships" in the house. There is an arrow from the "rows and upsets" node to the "personal relationships" node and the arrowhead shows the DIRECTION of this influence, that it is the rows that are influencing the personal relationships. The rectangular nodes show choices that can be made, that could influence the situation. In the influence map shown, the rows seem to be about available space and conflicts of use. Some possible choices that could be made here are to use available space differently (use different rooms for different uses) which might mean remodelling your house or extending it. 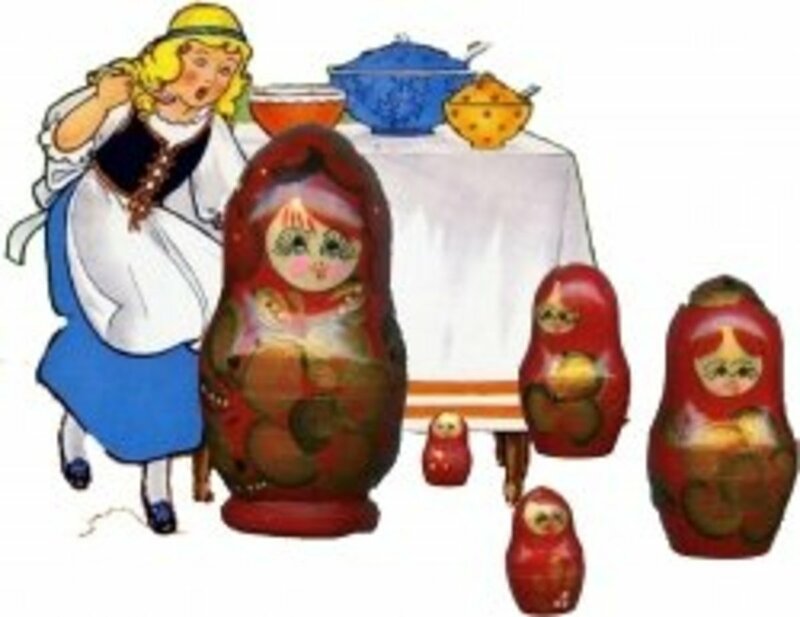 Another choice might be to have separate mealtimes for different groups in the house. Again, arrows are used to join related nodes, with the arrowhead showing the direction of the influence. O.K. let's create an influence map. Pretend that you are a local council or authority or county that is concerned about people falling in the street. This is just going to be a simple diagram, so there may be lots more things you could add. 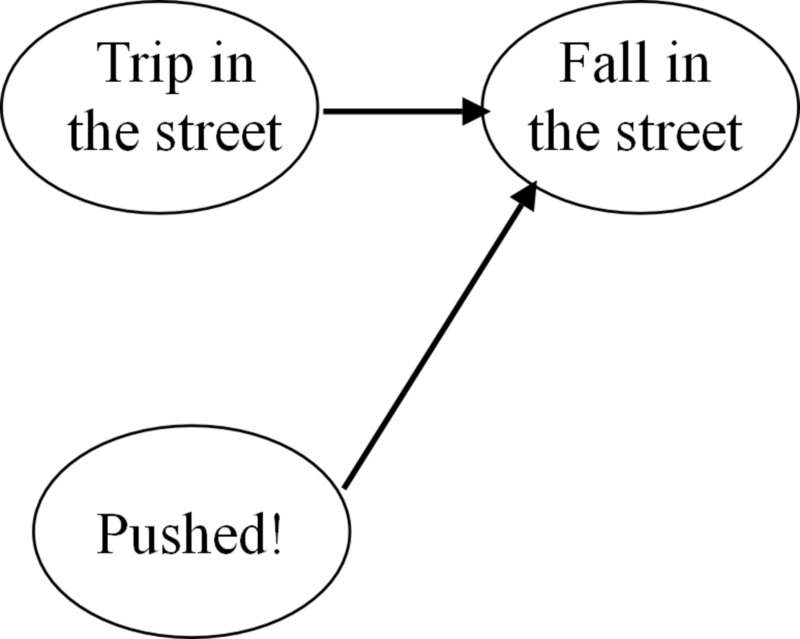 But two possible states of the world that could INFLUENCE whether a person falls in the street could be that they are pushed or that they trip on something. The node "fall in the street" is written inside an oval and placed at the right hand side of your page. The two nodes that can influence this are also put inside ovals and placed a little to the left of the first node. Arrows are drawn from the "trip" node to the "fall" node and from the "pushed" node to the "fall" node, with the arrowheads showing that "trip" influences a fall and also "being pushed" can influence a fall. 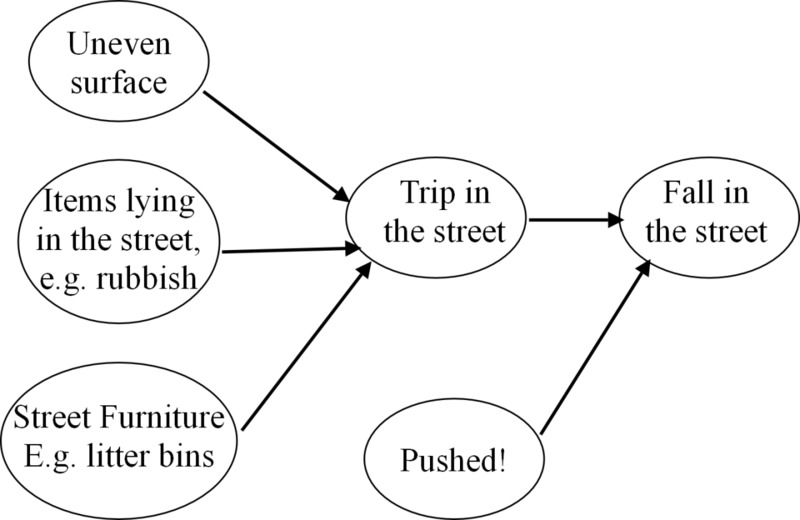 As a local authority of some kind, you may well not be able to influence whether or not someone gets pushed in the street, so I propose to leave that node alone and concentrate on the "trip" node. There could be several reasons for someone tripping in the street. For instance, the surface of the pavement or walkway might be uneven. Maybe things may have been left lying in the street, such as rubbish or maybe some street furniture such as bins or seats might be tripping people. So let's add these to the diagram. You will note that all the nodes, so far, are inside ovals. 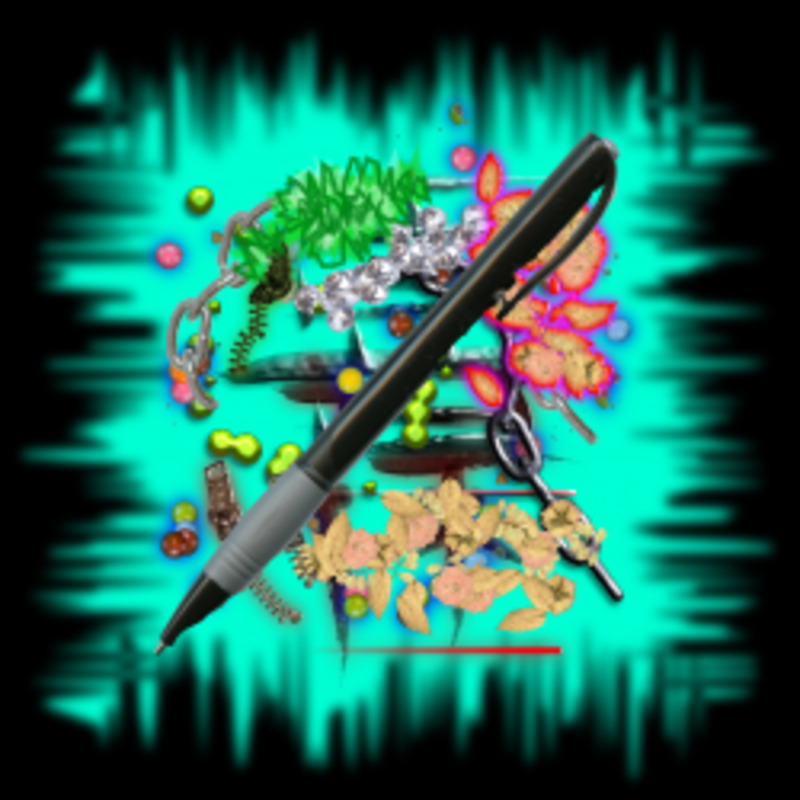 This shows that the text inside the node represents a "state of the world", something that is uncertain and that you do not know whether or not it will happen. What more Can Influence trips? 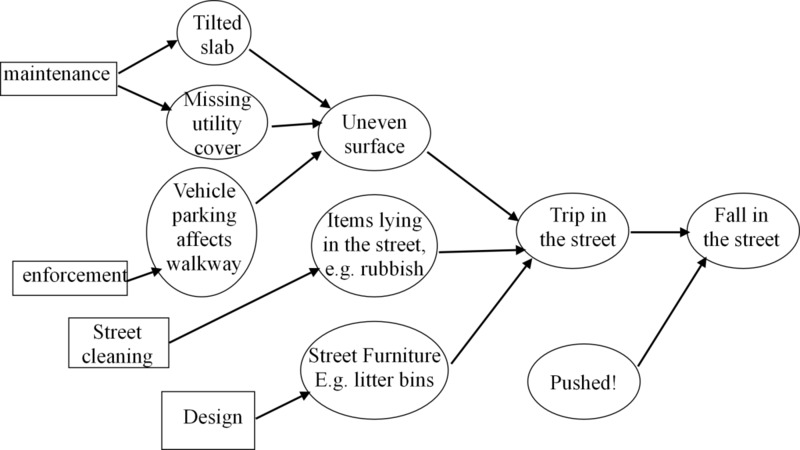 More has now been added to the Expert map to indicate that an uneven surface on the street, or pavement, or walkway might be caused by a tilted slab (for instance, if slabs are used for the walkway). Or perhaps a utility cover is missing from something or maybe vehicles have been parking on the pavement / walkway and making indentations in the surface that could form a trip point. At this point on this map, it is now maybe time to add some CHOICES of action that can be taken to improve the street, so that falls are less likely. Because they are choices, these nodes will be put inside RECTANGLES. Arrows will still be used to show which node influences which. You will see that the possible choices for action are that "maintenance" could be used to influence whether there are tilted slabs or missing utility covers. Maybe some more enforcement might help to prevent vehicles parking on walkways or pavements and affecting the surface for pedestrians. 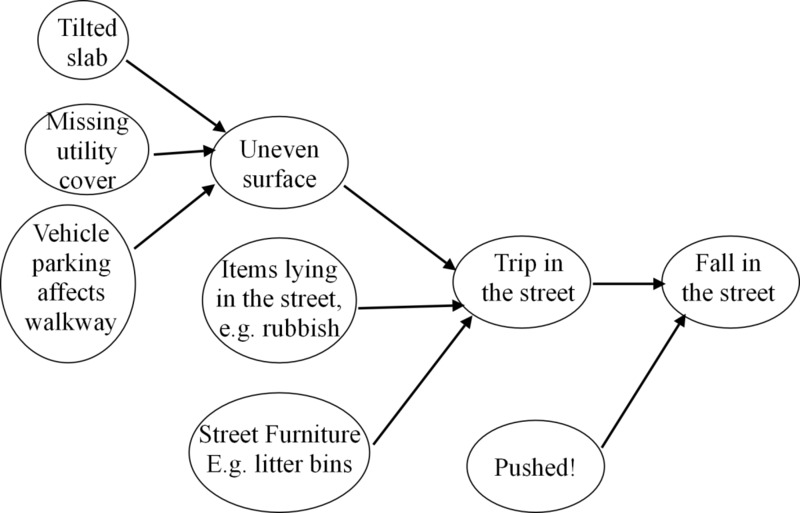 Street cleaning might help remove trip hazards from rubbish in the street and design specifications could be used to choose where to place street furniture so it doesn't form a trip hazard. I read an excellent book on this a number of years ago, called: "Risk Communication A Mental Models Approach". It has four authors, M. Granger Morgan, Baruch Fischhoff, Ann Bostrom and Cynthia J. Atman. It was published by Cambridge University Press in 2002. Of course, the book covers a lot more than the simplified version I have described here. It is aimed at people managing RISK, such as the risk of an epidemic of disease and many other areas. And it can be used to add numbers to the influence arrows to calculate risks. I find it useful for looking at complex areas where I need to simplify the effects of one thing on another. Expert Maps, Influence Maps or Influence diagrams, whatever you want to call them, can certainly help you clarify your thinking on the choices and actions you can take in different situations. What do you think about Expert Maps? I don't understand this - can you make it clearer? Thanks very much, glad you found it useful. Simple way to express our fast and complex thoughts. Very nice.